Do you want dogs to be an important part of your wedding? If you’re a dog lover, then the only answer is a resounding yes! This bride went one step further to make her special day that little bit more special. 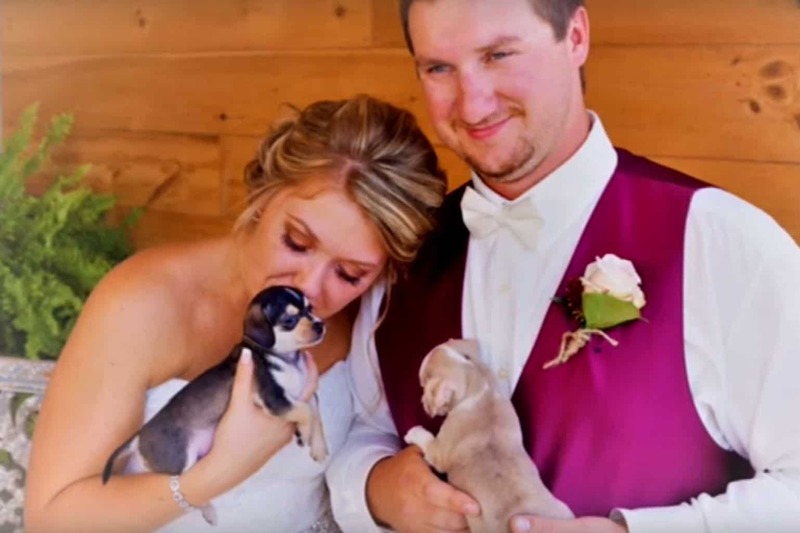 At first, Samantha Clark wanted to include her own three dogs in her ceremony, but she soon had a better idea. She browsed Pinterest and found the cutest pictures of bridesmaids holding puppies, so decided to put her own spin on the trend. She contacted some local pet rescue shelters to try and locate some puppies and luckily AHeinz57 got back to her. AHeinz57 Pet Rescue and Transport had collected dozens of stray dogs in the aftermath of Hurricane Harvey, so Samantha was in luck. Next, she had to persuade her bridesmaids. You might think it easy to persuade your friends to cuddle puppies all day, but there is more to think about. They are likely to bark through the ceremony, and they might not be toilet trained. This could prove disastrous with their beautiful dresses! Luckily, the cuteness of the puppies swung it, and the bridesmaids were on board! The puppies in question were Chiweenies – a chihuahua and dachshund mix. Their foster mother from AHeinz57 escorted them too and from the wedding, and the photos are the cutest things you’ve ever seen! 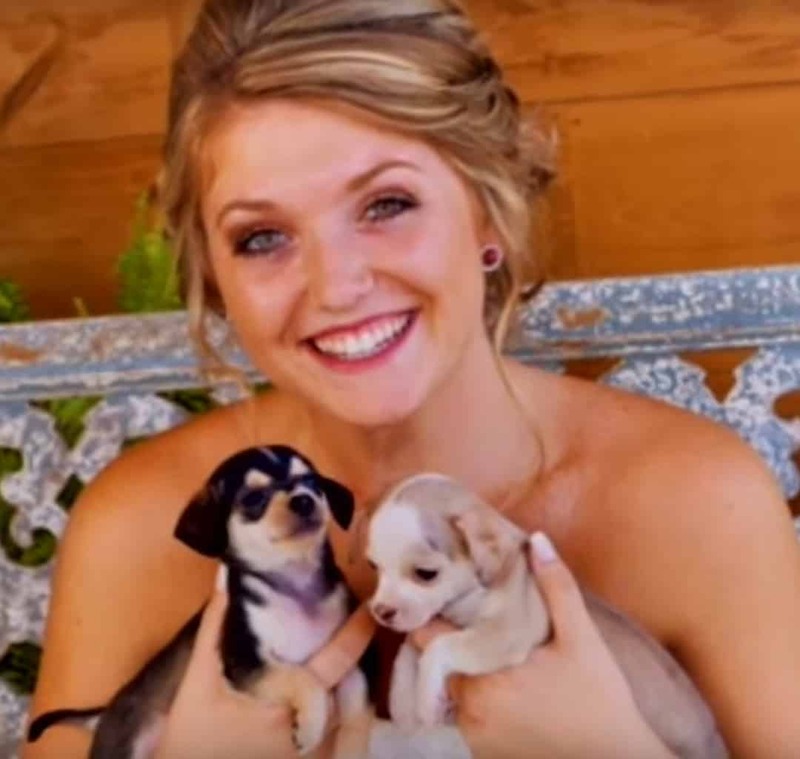 Samantha hoped that her special day would encourage guests to adopt a dog after the tragic hurricane, and since it went viral there’s an even bigger chance! 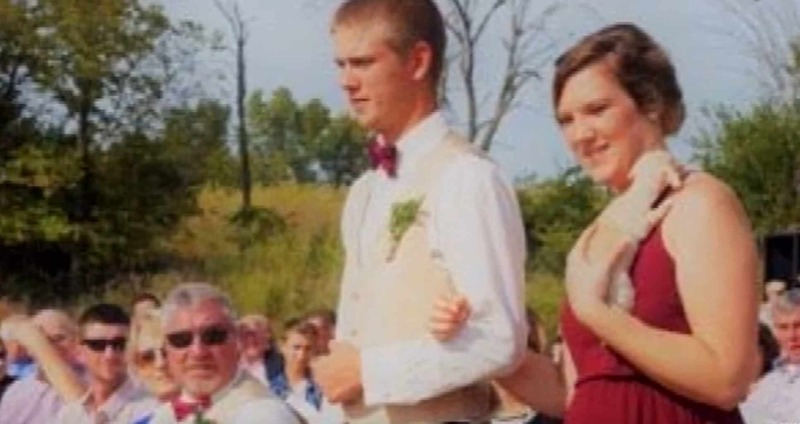 Her wedding was the most important day of her life, as it is for most people, but she also managed to do some good by alerting her guests to dogs in need. She also got the added bonus of having the cutest puppies attend her wedding. Let us know your thoughts about this cute wedding addition in the comments! Share with your family and friends if you think they’d like this! Also, check out similar stories on Happiest.